Hello. Has anyone heard back from CMU yet? Decline or interview offers? Are you sure you want to go to CMU with the accreditation status issues? I received an email that my application was under review but nothing after that. I just received an invite to the interviews/info session on September 20th! I have an interview September 20th also! Scalding Lake I attended undergrad at CMU and have talked to the director of the program about the reasonings behind the suspension and I believe CMU will have no problem resolving the problems. Had my interview at central today and their new MMI interview format was phenomenal. It was very comfortable and welcoming. There are a TON of changes going on with the program and there is a lot of excitement around them. Know your ethics and you'll be fine. No tricks or gimmicks here. I'm not here to give anyone an unfair advantage. Plus if I tell you any specifics, you're going to freak out, and that's completely unnecessary. Just know how you would respond to "sticky" situations. 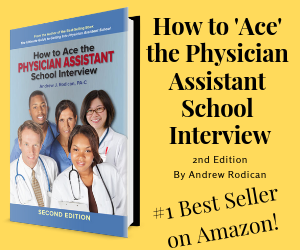 Everything else they will inform you of once you get invited/interview, and there really is not ANYTHING that you absolutely had to know before arriving at the interview Just have some good questions ready for practicing PA's, students, and the director. I believe there is a lot of time to stand out if you have phenomenal questions during those sessions. Sorry didn't mean for it to come off like I was trying to get an advantage! thanks for the answer. Glad to hear there's lots of changes, as I was worried about the probation. Didn't think you were! Just saying why I was not very detailed about the interview. Good Luck! Did they say at the interview session on Saturday (9/20) when they would notify applicants if they are accepted or not? I received an e-mail invite yesterday to the November 1 interview/informational session!! It was a very fresh and interesting format. But, on the other hand, it felt very impersonal, too. I just received the coveted phone call!! I'll be attending starting in May!!!! Who else got a call from Clint? Received the call from Clint today, I'm in!!! I got an acceptance call from Clint yesterday afternoon! I was in the October 4th interview session. Congrats north1le!! $1,000 deposit due within 7 days that is rough though. Are you set on going to Central or do you have other offers/interviews? Thanks! Congrats to you too! I will be turning in my acceptance forms and paying the $1000 deposit. I still have an interview at EMU next week, and I'd like to see what their program has to offer. Are there any other schools that you are still considering? Yeah I have an interview at WSU next Friday and at EMU the following Monday. I think I prefer those schools over CMU but don't have enough confidence that I'll get accepted into those schools to not pay the deposit. They allow you to pay half of the deposit as long as you have a specific date you'll pay the other half. If you go somewhere else you only lose 5 bones. Contact Theresa. 1,000 in a week is crazy and they know it.